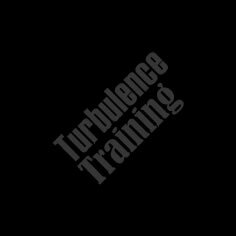 Upgrade to the Turbulence Training Platinum Edition And You'll Get Instant Access to ALL of the Turbulence Training Workouts and Videos. In the Ultimate Platinum Turbulence Training Deal you'll get access to all the Turbulence Training workouts and videos, AND you'll be able to ask all your fat loss and nutrition questions on the Discussion Forums. PLUS, we'll even ship you a free set of DVD's featuring The Turbulence Training for Fat Loss Workouts (retail value = $199.95), PLUS a hardcopy of both the Turbulence Training for Fat Loss e-book AND The 6-Month Bodyweight Manual. All this for only $197 - saving you $679.95 if you order today. YES! I want the Turbulence Training Ultimate Platinum Package. I understand that I will get everything in the Turbulence Training for Fat Loss Basic Edition AND The Turbulence Training Membership Site & Video System AND The 6- Month Bodyweight Turbulence Training Manual. I understand that I am getting a great deal and saving $679.95 in this great package deal.